We are very proud of our small team of characterful and willing horses. They are a young and enthusiastic team between 7 and 14 years of age. They range in height from 14hh-16hh and we have a mixture of types from native breeds (i.e. 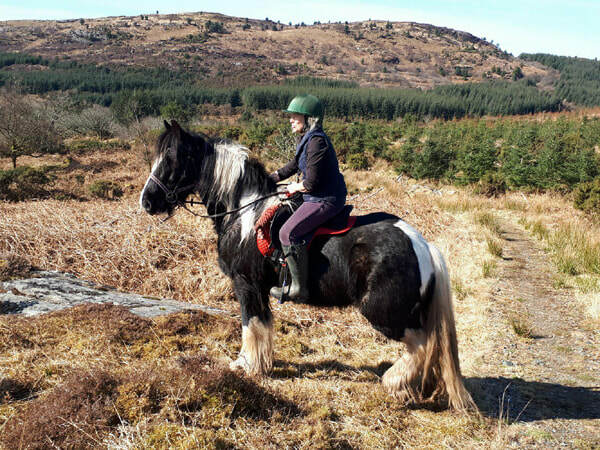 Fell, Connemara, Irish Cob) to more exotic breeds (i.e. Appaloosa, Arab, Irish Sports Horse, Hackney x). There should be a horse to suit everyone. We have worked hard to hand select these horses. We would happily ride any one of them all day long, and we regularly do! 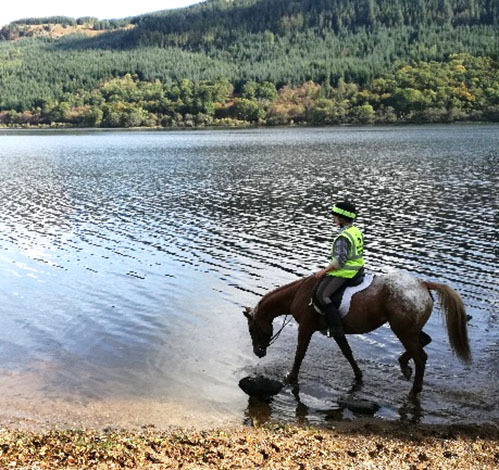 The confidence of our horses is important to us. We want a team that love to work and enjoy the environments we ask them to explore with us. Using various natural horsemanship techniques we play games with our horse to ensure they are as adventurous as we are. This has seen them climb in, on, under and over almost anything you can imagine. They are well travelled by road and sea, and always eager for the next adventure. ​She likes her men, a bit of a floozy. 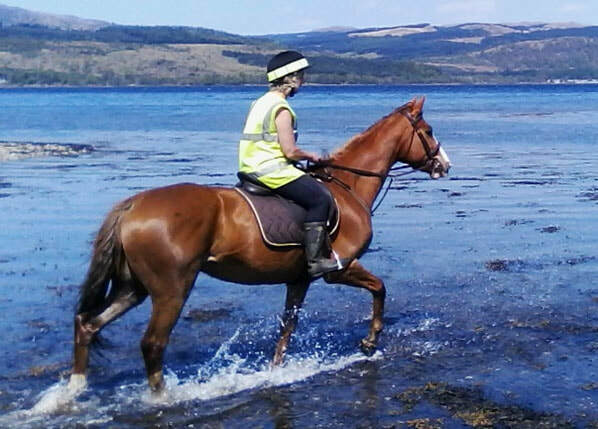 A gorgeous chestnut mare – and she knows it. A very talented clever horse with lovely paces. A technical ride, very enjoyable for those who can. 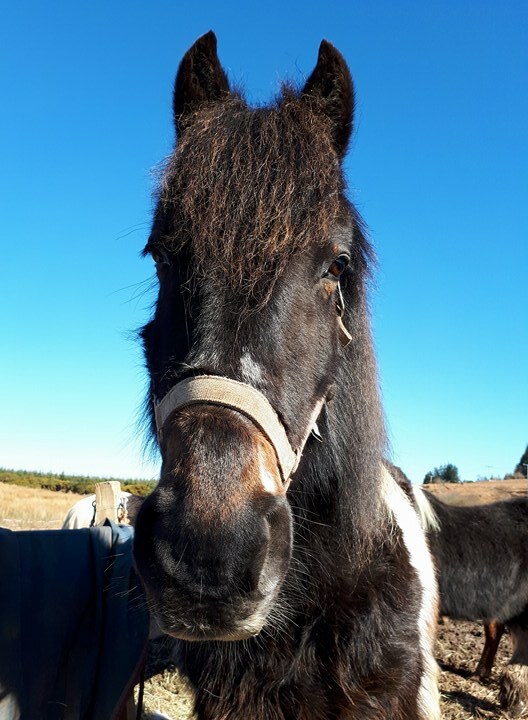 A forward but gentle giant, who I am sure would own a pocket watch, wear slippers and smoke a pipe if he were a man, but he definitely has a twinkle in his eye and really is very handsome, despite him loving being filthy! 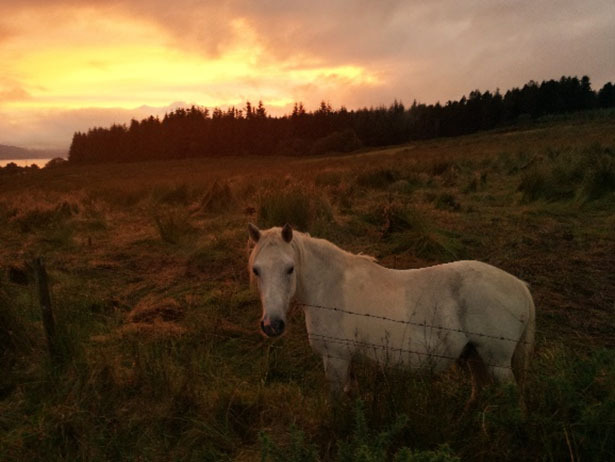 ​Cara’s own horse, often head of the herd and not afraid of anything. 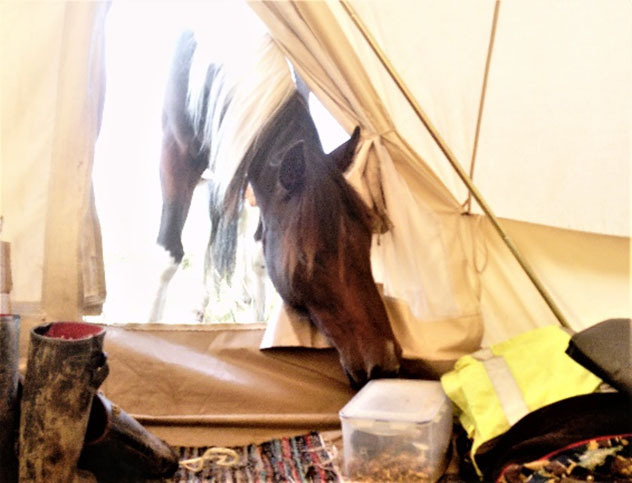 Truly inquisitive, we have a job keeping her out of our tent! Very striking but quite monogamously Indi’s wife. ​The moustached man with the heart of a lion. One of our smaller horses but don't be fooled, he keeps up despite his little legs. Stunning markings (white spectacles) this boy is utterly charming and is a peat bog fairy who can navigate us over any terrain. Arab x appaloosa, chestnut with spots! ​Nikki’s own horse, a dainty fairy is the only way to describe her. Lovely floaty paces and a real gentle girly character. 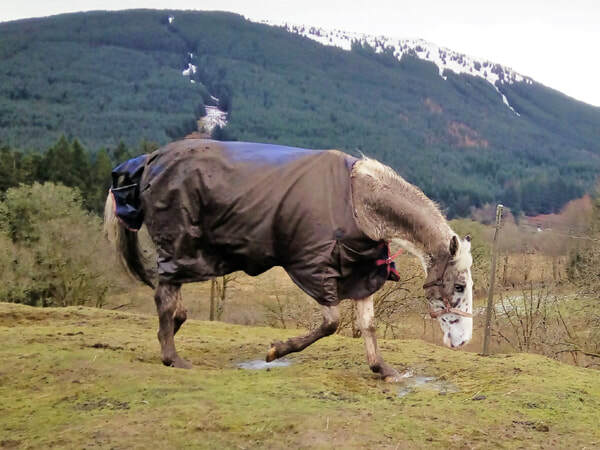 Nikki has transformed this horse from a nervous weaving wreck to a joyful delight. The old man. 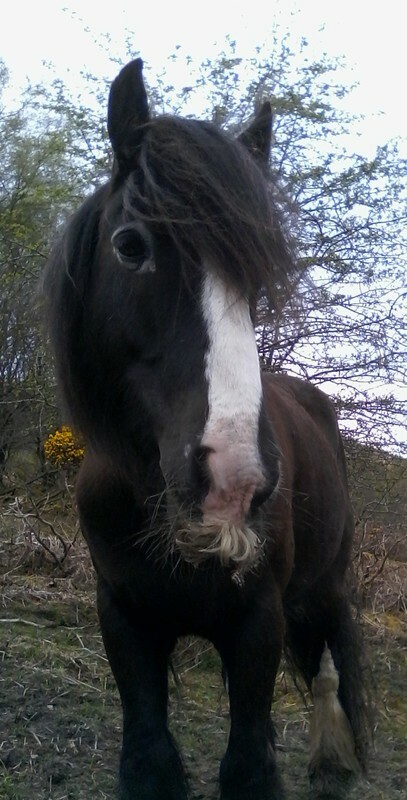 Used solely as a companion horse for the ‘spares’ when we are out on location, he loves the ladies and definitely would wear a monocle and cravat if given the chance. Unless of course he really is a unicorn! ​A feisty old girl, she's been a family pet since she was a foal and no bigger than a spaniel. Now spending her time watching her figure and keeping the boys in order. Our little project. Uisge has had a tough start in life and is now enjoying being part the herd where she is gaining confidence. It’s a hard life being the baby though! 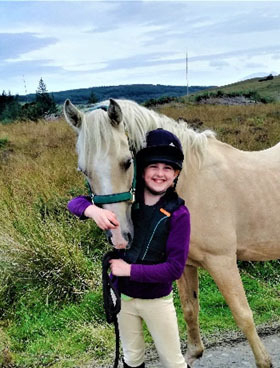 A sensitive wee horse that needs quiet handling but is clever and extremely rewarding in the right hands. A mischievous 14.2 mare from Blackburn, Pearl is a bay appaloosa x hanoverian, with no spots but with that classic Appy tail and attitude. She's light and responsive to ride, calm and well schooled, but with a glint of fun in her eye and a great fondness for hay! Our new big guy - Iorek. He is a gentle giant in spotty pyjamas. Standing at 16.2hh he'll even over-top Denver, but he's a great softie, always keen for a rub. Iorek is an Appaloosa from a show-jumping home, with a gleaming white coat that he likes to keep scrupulously clean at all times. No Iorek - don't roll again!! 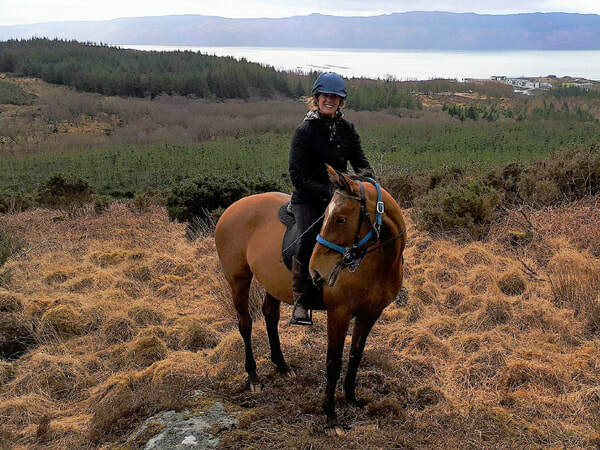 ​Jazz is the gentleman of the herd who comes to us from a previous trail-riding home with Rosie in Tomintoul. Jazz is a total professional and knows his job. He's a beautiful skewbald TB cross with lovely paces and touch button control, and at 15.2hh we think he'll soon become a favourite. We're hoping he'll enjoy his new life here in the West. This guy is also from Tomintoul and is our new big baby. 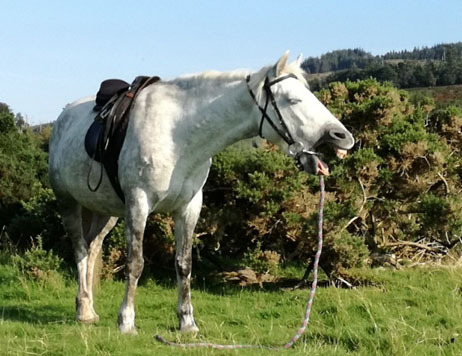 Although 10 years old, he is a bit green but is eagerly learning the ropes within his new and experienced herd who are giving him the confidence he needs. 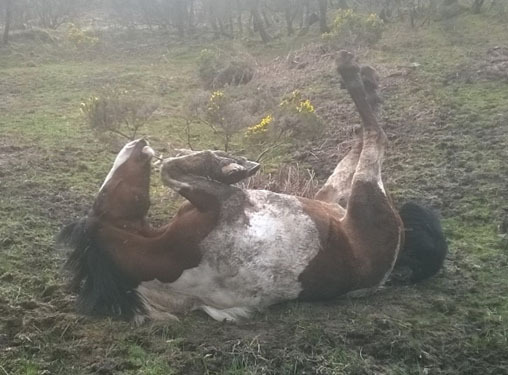 He is a 15.2hh piebald cob with magnificent hairy legs. He wants to be everyone’s friend, has a calm and willing nature and loves a good scratch. ​​You may see our loveable hounds around during your stay. Tilly is Cara’s 11 year old Jack Russell. Well technically she belongs to Cara’s mum but came to stay with us on holiday 3 years ago and won’t go home. She is living the dream and making it permanent! Kiyo is Nikki’s 4 year old English springer spaniel. She has a hair-do like Tina Turner and pulls really big cheesy grins when she is excited to see you but she is as soft as a lamb…in fact softer as our sheep often enjoy chasing her! And of course if your chosen ride brings you to our Home location, you might even meet the flock.